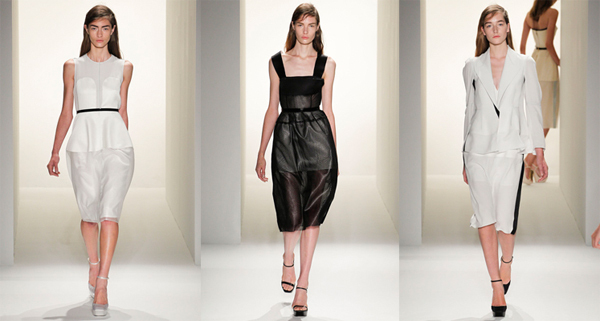 Calvin Klein fashion brand had an honor to close the New York Fashion Week spring summer 2013, which is both risking and complicated since the fashion editors and buyers are already tired and satiated with distinct garments. But Francisco Costa is not the kind of person that would give up in front of such obstacles. Calvin Klein spring summer 2013 show really made a splash. 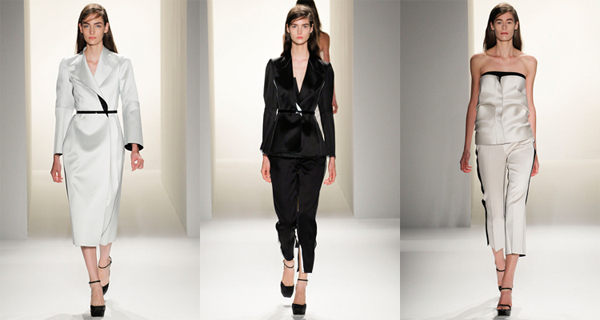 Calvin Klein collection of the previous season was distinguished with the plain and strict lines. This time the designer didn’t step away from the austere silhouettes, but with the incorporating of the body fitting lines. This time the black dress leans closer to the figure and is pinched on the upper waist area. The ivory dresses with the soaring silhouettes border with the Klein’s signature black dresses with the slim fit. Costa didn’t fail to use the opportunity to introduce the original graphic black and white patterns with the addition of pale green. Costa also played with the transparent elements by including the stripes of the sheer materials that divides the bodice. Designer also used the folding element on the torso area for constructing the smooth appealing feel of the body dimension. 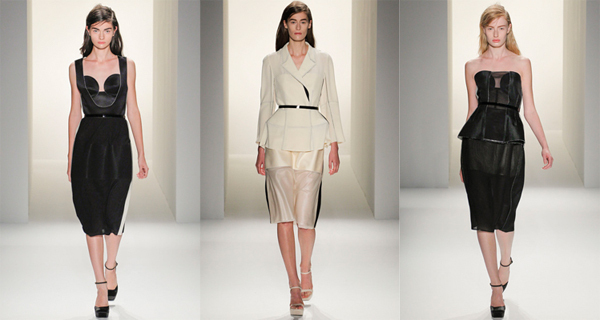 This spring summer 2013 collection by Calvin Klein is strong, emotional and sophisticated. It demonstrated the true sense of retrain after the week with the abundance of the bold colors, rich textures and beautiful patterns. Costa offers to concentrate on the nice fitting and modest shapes rather than on the bright florals during the spring season.